According to Campus Safety Magazine, an 18-year-old student committed suicide with a firearm at Corona del Sol High School in Tempe, Arizona in May. Two of our clients have experienced multiple on-campus suicides. Suicides on school property rarely garner national media attention unless they follow an active shooter situation. The reality is that there have been far more deaths from suicides on K12 campuses than from active shooter incidents. 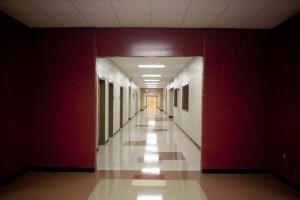 Steve Satterly’s 2014 report Relative Risks of Death in U.S. Schools indicates that individual schools are eight times more likely to experience an on-campus suicide than an active shooter incident. His report also reveals that twice as many deaths resulted from suicides on campus than from active shooter incidents during a recent fifteen year time period. Suicide prevention measures take on even greater importance when we also consider that many active shooter incidents have ended with suicide by the aggressor. These incidents are extremely painful. They leave a lasting and very negative impact on families and the school community. Our analysts have seen a number of instances where school staff have received extensive training on active shooter response while staff development on evidence-based suicide prevention concepts has not been provided. While the very real threat of active shooter incidents should not be ignored, failure to address a far more common type of event that has caused twice as many deaths is not advisable. With many on-campus K12 suicide attempts being public in nature, these types of incidents may are beginning to receive more media coverage. A number of mental health experts feel this may in turn increase the risk of on-campus suicide by students and staff. Graphic and public suicide attempts such as those where students have lit themselves on fire in schools could easily result in a sudden shift in media exposure just as we have seen with K12 active shooter incidents. Active shooter incidents were largely ignored by the national media until the deadly shooting at Pearl High School received unprecedented media coverage. A number of school shootings have received similar intensive national media coverage since that time. With evidence-based approaches to suicide prevention available today, it makes sense to devote time, energy and fiscal resources to prevention strategies that have been validated as effective before schools tie up precious resources on questionable and perhaps even dangerous measures for less common threats. Fortunately, a number of school districts and non-public schools have done excellent work in this area. We urge school officials to take a close look at their suicide prevention measures.